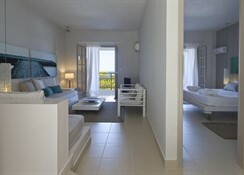 The Bay Hotel and Suites is a beautiful resort on the gorgeous tree covered peninsula of Zante’s south east coast. 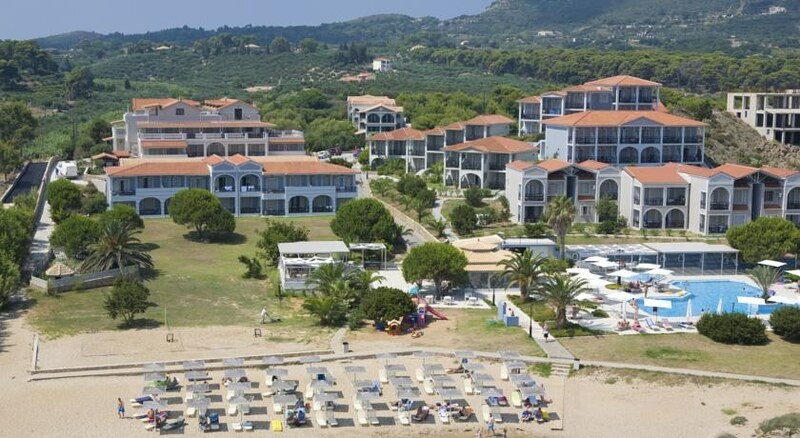 The hotel is only a short distance from the hotel and the nearby resorts of Zakynthos Town and Laganas and is right by the beautiful fishing village of Vasilikos. The hotel itself is on its own stretch of private sandy beach looking out onto the Ionian Sea. There is a large outdoor swimming pool surrounded by sun loungers and umbrellas, the perfect place to soak up the Ionian sunshine and relax. 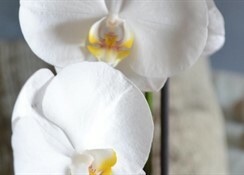 The hotel also has an indoor pool, a Jacuzzi and sauna facilities as well as a spa and wellness centre which has a number of relaxing and therapeutic treatments available. 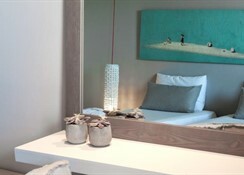 This beach hotel has a modern elegant style with a relaxed atmosphere and is ideal for families. 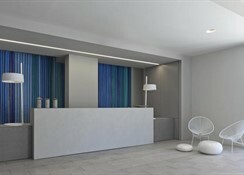 It comprises a total of 112 rooms including 25 suites. Facilities on offer to guests at this air-conditioned establishment include a lobby area with a 24-hour reception and check-out service, a hotel safe and a currency exchange facility. Younger guests can let off steam in the children's playground and there is a bar and a breakfast room. 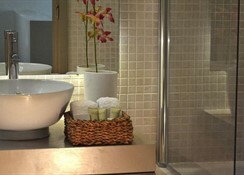 Guests can also take advantage of the room and laundry services. Parking is available for those arriving by car.